QPR Under-23s enjoyed a fine afternoon against Colchester United at Loftus Road earlier today (Friday). Goals from Sean Goss, Aramide Oteh, Osman Kakay, Lewis Walker and a double from Paul Smyth sealed a dominant 6-2 victory for the R’s. The Super Hoops started the game the more threatening and after six minutes, Oteh had the first real opportunity. His effort rocketed back off of the post. Chay Tilt was next to see his effort cannon off the woodwork. The ball rebounded into the path of Goss, but once again his shot struck the foot of the post before trickling out of play. 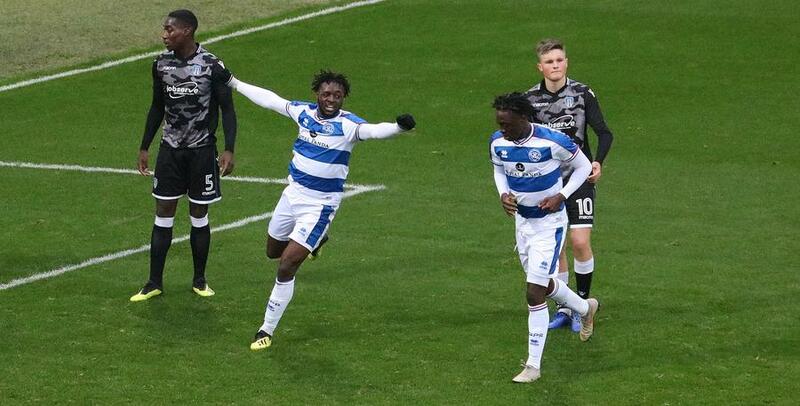 In the 22nd minute, QPR’s dominance finally paid dividends as Goss pounced on a slip by Colchester defender Gene Kenedy before slotting home to give the R’s a deserved lead. That paved the way for a flurry of Rangers goals as nine minutes later, Oteh doubled the Hoops’ advantage as he tapped home from close range following some good work by Smyth. 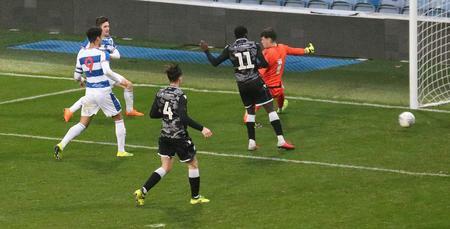 The latter saw his initial effort bounce off the post and fall straight into Oteh’s path. Then in the 36th minute, full-back Kakay finished what was an excellent team move by the R’s. Oteh found Tilt, who in turn was able to pick out Kakay who put Rangers three up. Seven minutes before the break, QPR produced a fast break from Colchester’s corner as Tilt picked the ball up just outside the Rangers box and ran the length of the pitch before finding Smyth, who converted past Callum Coulter in the visitors’ net to make the score 4-0 at half-time. Going into the second half, the R’s continued to orchestrate proceedings, with Goss and Oteh both enjoying chances to put the game out of the visitors’ sight. But in the 57th minute, Todd Miller pulled a goal back for the U’s. This started a period of positivity from Colchester as three minutes later, Noah Chilvers’ impressive effort from the edge of the box flew past Marcin Brzozowski in the R’s goal. However, on 70 minutes, Rangers responded with Smyth producing a fine individual strike for his second goal of the game. After picking the ball up from inside his own half, he dribbled all the way to the Colchester goal before poking the ball home to make it 5-2. With the game starting to peter out, QPR continued to control possession. Substitute Deshane Dalling spurned a decent opportunity to put the icing on what was a pleasing performance but was unable to keep his effort down. Though in the dying moments of the second half, Walker converted Dalling’s wonderful cross to ultimately seal what was a fantastic afternoon for the R’s. QPR U23: Brzozowski, Kakay, Hamalainen, Goss, Philips, Wells (Omar 77), Tilt (Dalling 74), Owens, Walker, Oteh (Bansal-McNulty 63), Smyth. 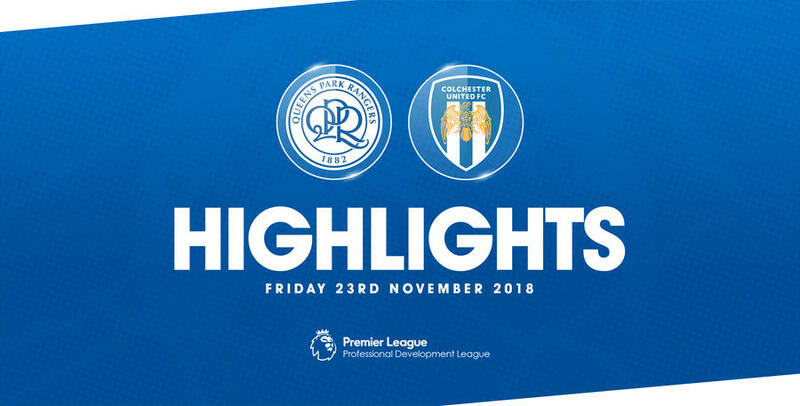 WATCH all the main moments from QPR Under-23s 6-2 win against Colchester United at Loftus Road.